We must imagine the impossible, not because we will experience it in this lifetime, but because our capacity to create transcends lifetimes. For those who have followed this blog from the start, then you probably know that I am drawn to Mooji’s teachings. You might also know that a while back — two years ago — I felt the need to “forget about” Mooji, forget about every spiritual teacher, all the books, all the retreats, all the effort. I felt the need to stop trying to do anything particular in my “spiritual life” — to “call off the search”. What I realized, afterwards, was the importance of this forgetting. This was the period when I began to transcend the part of my identity that felt like it had to do something to “attain realization”. It wasn’t that I needed to forget about “Mooji” — I had to forget about me. I had to move beyond the feeling that “I” was directing my spiritual path, in order to open up greater space for surrendering to Life. In letting go of this spiritual identity, I also came to see more clearly that there is no difference between “Mooji” and me — or me and anyone else. After a while, I began to sense that when I felt compelled to pick up a book, or sit with a meditation group, or watch a satsang video — it was not because “I” was doing it. It was simply because the Self — Consciousness — was unfolding in this way. These are things I don’t have many words for, but those who have experienced it will understand. At some point, I found myself thinking that it would be nice to visit Mooji’s sangha. I didn’t have any particular question — at least not one I could articulate. I just felt that I should explore the possibility of being in Mooji’s presence. I had some concerns, though. I’d never met anyone who visited Monte Sahaja. Although I’d done one day retreats (for example, with Thich Nhat Hanh at Blue Cliff Monastery), I had never stayed overnight at an ashram. What if these people were weird? What if Mooji, the man, was vastly different from the Mooji I’d met in my heart? Would this community be a safe place for me, as a bisexual woman? I noticed that Mooji almost never acknowledged queer people in the stories and anecdotes he shared during satsang — and I couldn’t remember hearing anyone get up and ask a question related to being bi, lesbian, gay or trans. Troubled, I wrote him to ask why this was the case. I wasn’t sure if I would receive a response, but to my pleasant surprise, Mooji answered my inquiry, explaining that the sangha welcomes people regardless of sexual orientation. Shortly after this exchange — perhaps a week or so later — I watched a live satsang broadcast and saw, for the first time in all the videos I’d seen, a woman get ask Mooji to address the particular suffering of queer people who deal with homophobia. I experienced this synchronicity as a reassuring wink from the universe. When I found out that I’d received a grant to spend two months working on my book in France, I knew that this would be my opportunity. I hadn’t been to Europe in 4 years and this was as close to Portugal as I would get for the foreseeable future. I wrote Mooji and the sangha to find out if I could come during this time. It took a bit of persistence, as I did not hear back right away. But eventually I did receive a gracious response. I would be welcomed at Monte Sahaja for a few days during my stay in Europe. Mooji’s ashram is located in a remote part of Portugal, several hours from Lisbon. I’d never been to Portugal before and I don’t speak Portugese. There are certain things visitors are instructed to bring along, among them: bug spray, sun screen, a hat and a flashlight for getting around at night. I knew that the weather would be very, very hot – in the high 90s during the day – so I packed a small bag with light, comfortable clothes. I was mindful of the ego’s tendency to create projections about people — especially, perhaps “spiritual” people that we admire or learn from. I did not know how I would personally feel at Monte Sahaja. I remained open to the possibility that I would not “enjoy” my time there. But mostly, I just felt excited and in disbelief that I would finally be meeting someone who helped guide me to a clearer understanding of my true nature from thousands of miles away. What was most helpful for me was resting in the knowledge that I was not going to meet Mooji as a “person” — that is, I was not interested in a personal meeting. And so I came to Monte Sahaja with this inner knowing — that I was not going to meet someone on the physical plane. I was interested in a meeting of the heart. And I felt incredible gratitude to have this opportunity. My trip from Paris to Lisbon was long and stressful. My flight was cancelled and rescheduled for 11 hours later. I’d have to spend the entire day at Orly airport. I was sleep deprived and felt as though I’d pass out from exhaustion. At one point, when I was already frustrated and weary, there was bomb scare right behind my queue — a small black valise had been abandoned right where I was waiting to receive my new ticket. Eventually, French soldiers with machine guns evacuated the terminal. I followed along, resigned to a difficult day. I was both terrified and amused, knowing that in so many ways, I was already in satsang. Eventually the crisis passed, the luggage removed and disaster apparently averted. Thankfully, I had resources to pass the time comfortably enough. I ate a pain au chocolat from Paul for breakfast, French onion soup at an airport bistrot for lunch and something overpriced from La Durée for dinner. I skyped with my girlfriend. 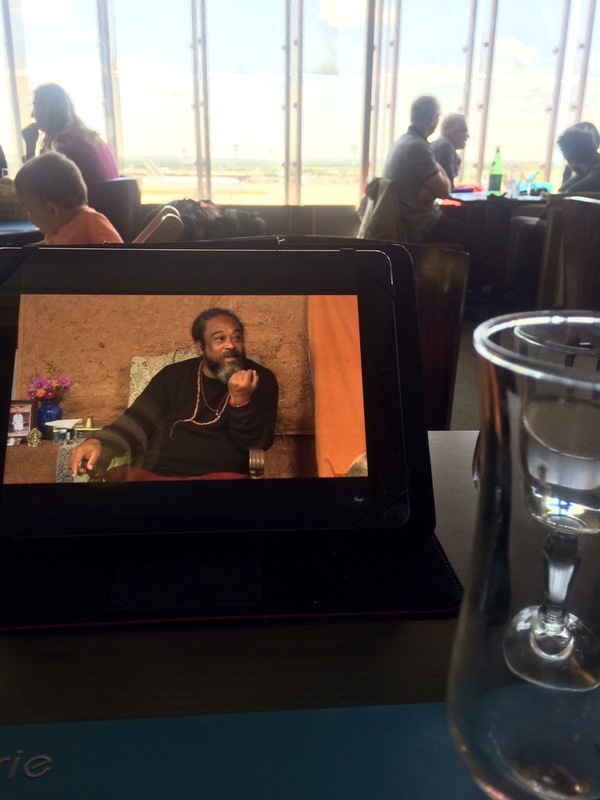 I watched Mooji videos on my iPad while sipping kir royal. I chuckled at the ridiculousness of practicing inquiry while drinking champagne. I meditated while observing planes taking off, one after the other. I looked down to see that my phone was ringing — an unknown number. I answered. 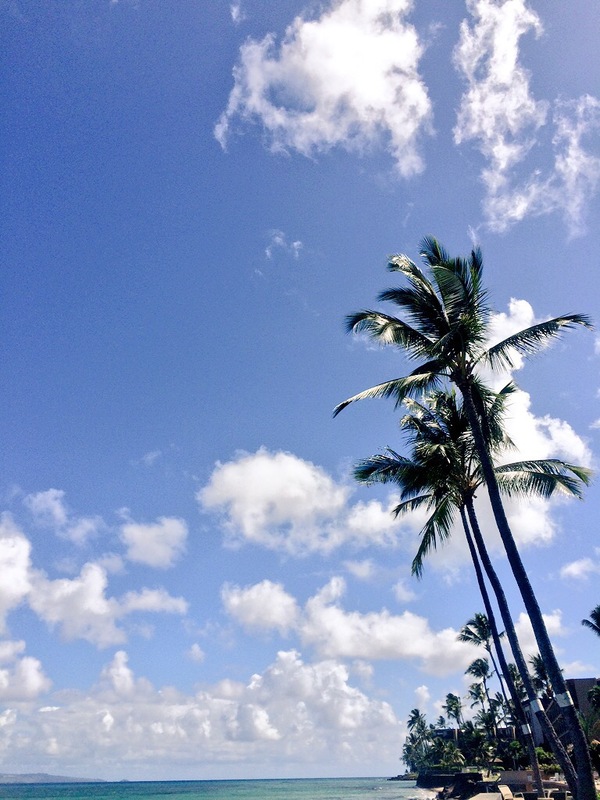 It was a woman with a warm, kind voice — someone from the sangha calling to see how I was doing. I’d emailed to let them know that my travel plans had changed. They wanted to make sure that I was okay and that I had a place to sleep in Lisbon that evening, as it would be too late for me to get to Monte Sahaja. I was surprised by the kindness and generosity of this woman, reaching out to me — a stranger — to check on my well-being. Later, I would see that this gesture was in alignment with other acts of kindness I experienced at the sangha. When the plane finally sped down the runway, leaping into the air, I breathed a sigh of relief — until the electricity and engines seemed to power off. A murmur passed up and down the aisles. I gasped and laughed, simultaneously – my life flashing before my eyes. A moment later, the power flickered back on and the journey continued.